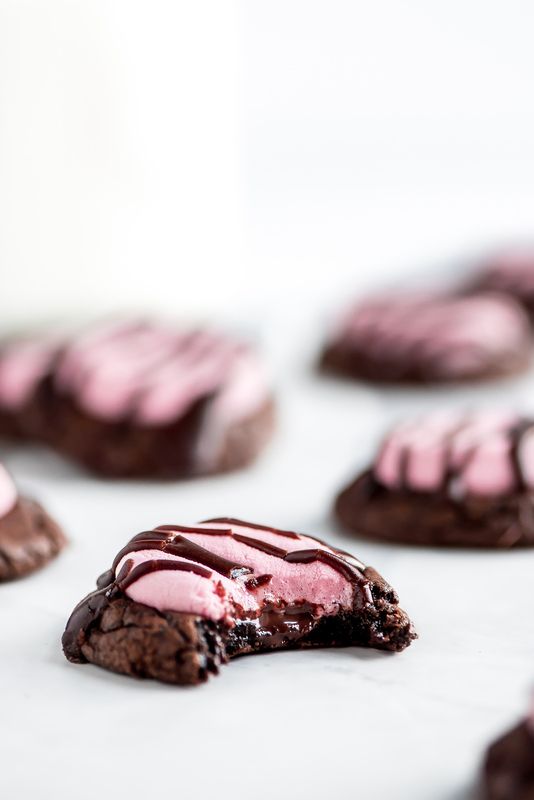 Strawberry Chocolate Marshmallow Cookies are rich chocolate brownie like cookies, topped with a giant strawberry marshmallow and drizzled with a buttery chocolate glaze. You won’t be able to resist a second one. 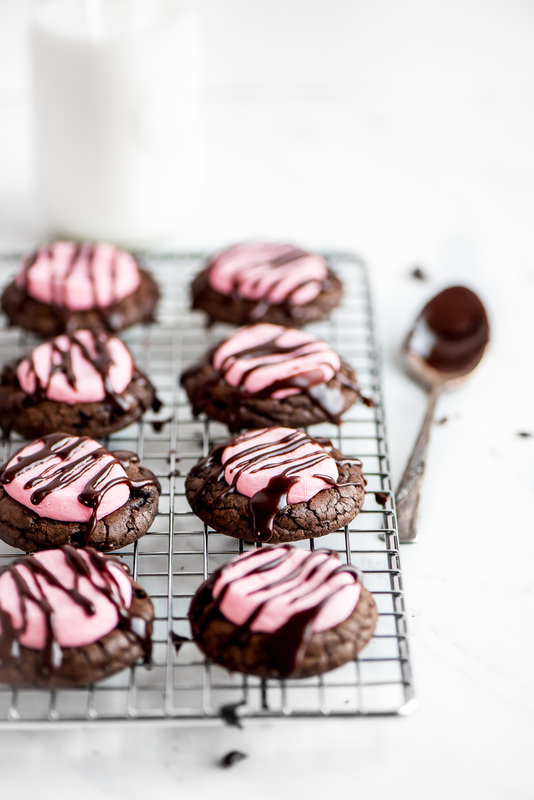 These Strawberry Chocolate Marshmallow Cookies are divine! 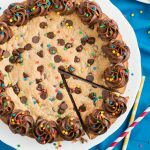 The base of the cookie has the texture of a brownie- rich chocolate, fudgy inside and lightly crisp outer shell. 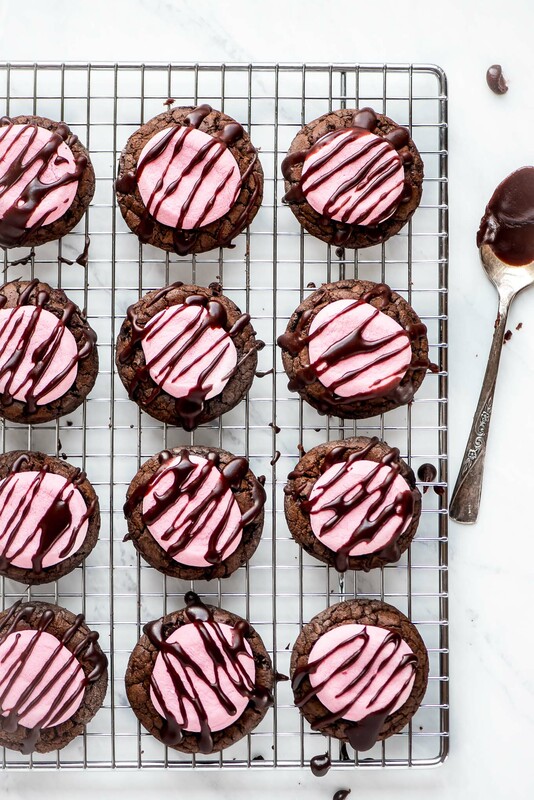 It’s topped with a piece of chocolate, half a strawberry marshmallow, and then baked just until it begins to puff. You can stop there or drizzle it with the easiest, silky, buttery glaze. 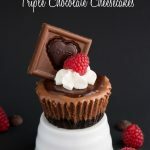 We could not stop eating these and I don’t think you’ll be able to resist too! To make the brownie like cookies you’ll first need to melt the butter and chocolate chips together. Then let it cool while you beat the eggs and sugar together. You’ll then mix in the cooled chocolate mixture in followed by all the dry ingredients including cocoa powder. Yep! In the dough there are two types of chocolate. For extra richness you can use Hershey’s Special Dark Cocoa Powder but regular unsweetened cocoa powder works too. Once the dough is all mixed together, you’ll need to chill it for 1 hour so it’s firm enough to roll. If you leave it in longer you’ll need to let it sit on the counter for 30 minutes before shaping. Roll the dough into 1 inch balls and place on a baking sheet 2 inches apart. You’ll want to slightly press down on each one and then bake at 325 degrees F for 11 minutes. While the cookies are baking, snip the marshmallows in half. 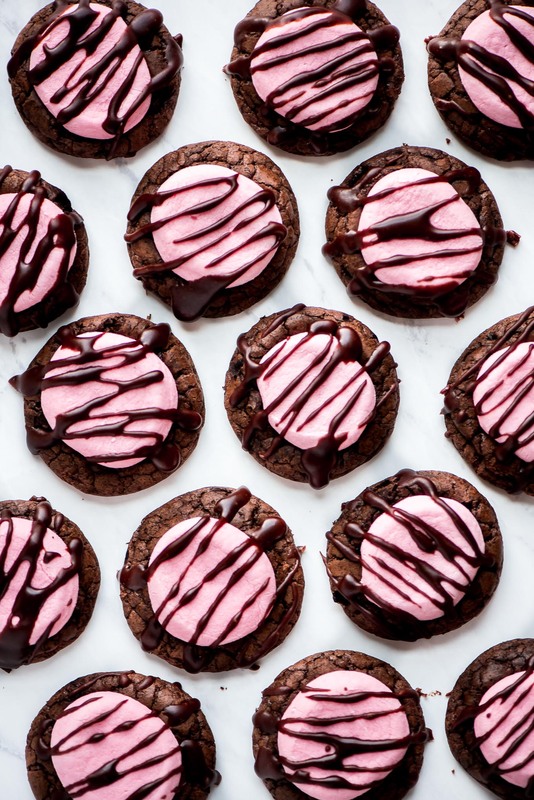 Place your chocolate on the sticky side and after the cookies bake for 11 minutes, pull them out of the oven and place a marshmallow half, sticky side down, into the middle of each cookie. Place the pan back in the oven for 2-3 minutes until the marshmallows begin to puff. Remove from the oven and make the icing. Move the cookies to a wire rack over a baking sheet. Drizzle the icing over the top of the cookies. The baking sheet will catch the drips. 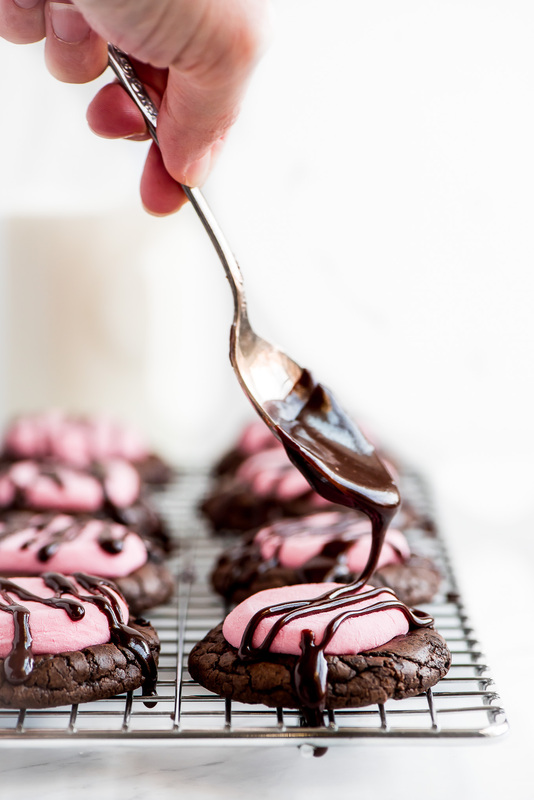 All you have to do is whisk together all the icing ingredients in a small sauce pan until smooth. It does start to dry fairly quickly so just give it a whisk and place back on the stove for a second if it gets too thick to drizzle. Can I adapt the recipe? Of course! 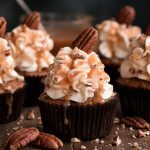 You can use regular marshmallows, chocolate marshmallows, dark cocoa powder, a different type of chocolate chip… I do NOT recommend altering the butter, sugar, or eggs. This is a cookie and meant to be indulgent so don’t ruin a good thing by trying to make it “healthy”. If you are adamant to make these less calories you can skip adding the chocolate chips to the marshmallows or you can leave off the icing. 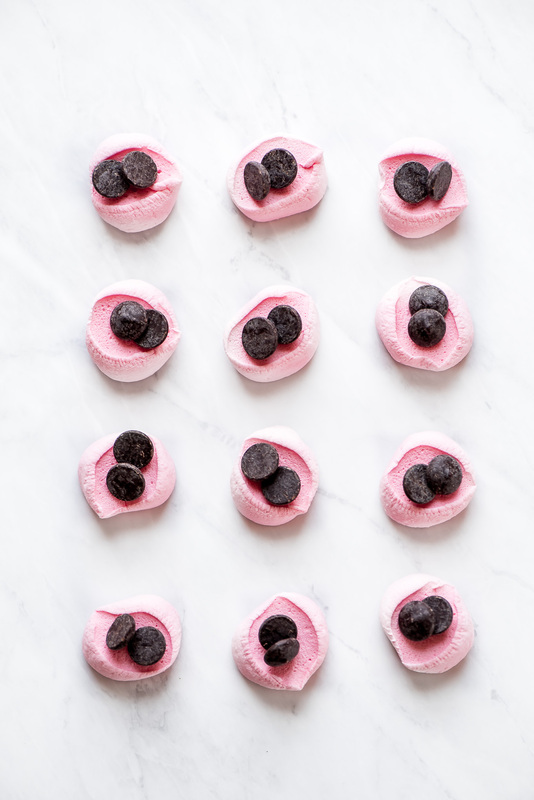 Where can I find pink strawberry marshmallows? I picked mine up from my local Kroger store. The brand is De la Rosa. You can use a different brand and order them from amazon here. Kitchen Shears– I use these all the time! 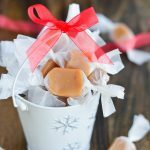 I use them to cut green onions, raw chicken, pizza, and for this recipe- marshmallows! 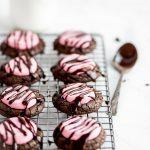 Strawberry Chocolate Marshmallow Cookies are rich chocolate brownie like cookies, topped with a giant strawberry marshmallow and drizzled with a buttery chocolate glaze. You won't be able to resist a second one. Melt butter and chocolate together in a medium sauce pan over medium heat, stirring frequently. Take off heat once melted and set aside to cool for 10 minutes. In the bowl of an electric stand mixer, beat sugar, eggs, and vanilla until well combined. Mix in the cooled chocolate mixture. Preheat oven to 325 degrees F. Roll dough into 1 inch balls and place 2 inches apart on baking sheet. Slightly flatten and bake for 11 minutes until cookies begin to crack. While cookies bake, cut marshmallows in half. Stick 2 chocolate chips to the sticky side. When the cookies are done, remove from oven and place a marshmallow half on top, sticky side down. Return to oven for 2-3 minutes until marshmallows begin to puff. Let cookies cool on pan for 5 minutes and then remove from pan onto cooling rack. Whisk all icing ingredients in a small sauce pan over medium heat until smooth.